Consisting of bluffs and canyons, Starved Rock provides for unique topography in Northern Illinois. 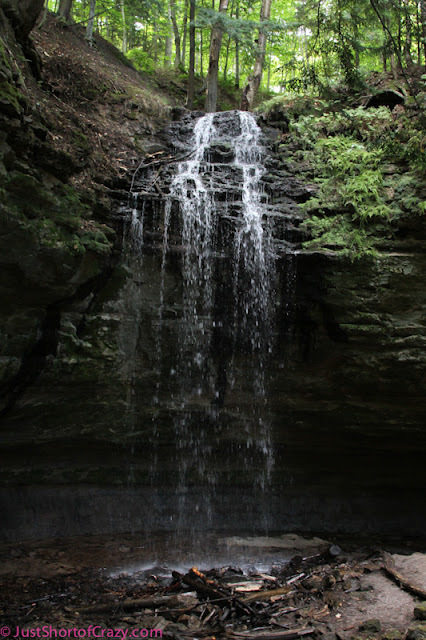 Starved Rock is home to a cache of waterfalls that depend upon levels of rain. If you head to the Visitor Center before hiking, they can tell you which waterfalls have benefited from the rain. 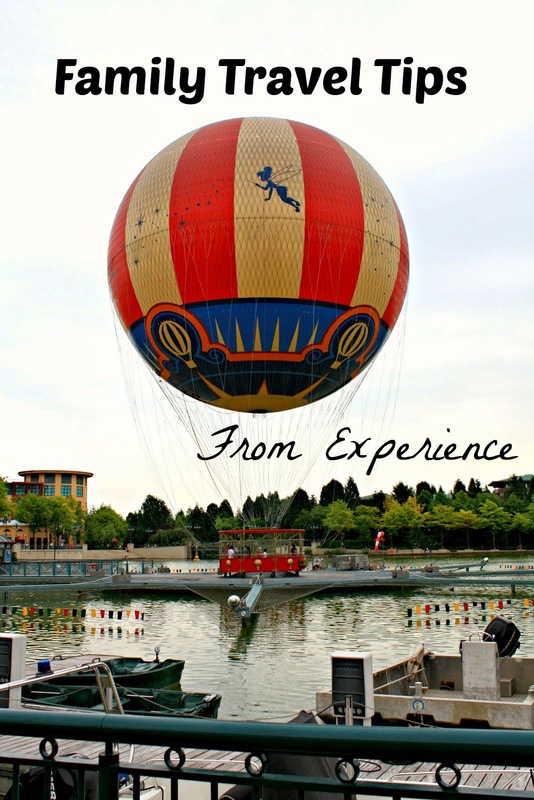 Every visit will be different! 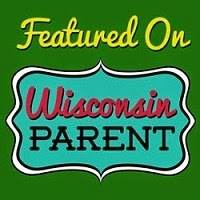 Midwest Family Traveler takes us to Thunder Bay Falls located in the Eagle Ridge Resort in Galena. Thunder Bay Falls is certainly a hidden treasure but is a favorite photo stop when visiting Galena. Thunder Bay Falls in Galena. 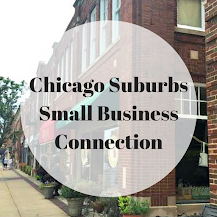 Image courtesy of Midwest Traveler. Waterfall Glen in Darien is a hidden treasure in the Chicago suburbs. While the waterfall is man-made and a construction of the Civilian Conservation Corps, it is as beautiful as it is historic. The Cowley Lake Waterfall is a stunning 25' waterfall affording amazing views from above and at the foot. 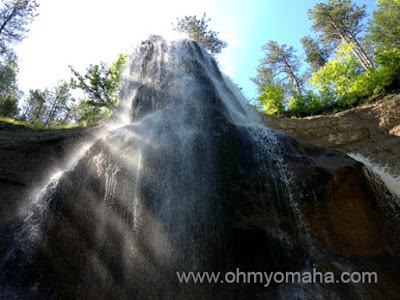 Kansas Travel, Tourism and Restaurants says that while the waterfall may be a little tricky to find due to signage, it is well worth the trip! Cowley Lake Waterfall from above. Image courtesy of Kansas Travel, Tourism and Restaurants. Geary Lake Falls is an amazing 35' waterfall that is dependent upon spring rains or heavy rains. So, you will need to time your visit accordingly if you want to see it flowing. 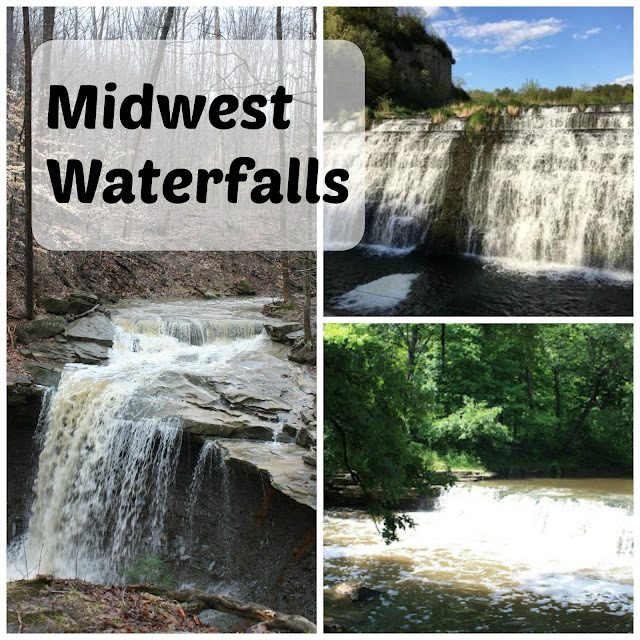 Kansas Travel, Tourism and Restaurants also suggests checking out the small falls that offshoot the main falls during your visit. Geary Falls image courtesy of Kansas Travel, Tourism and Restaurants. 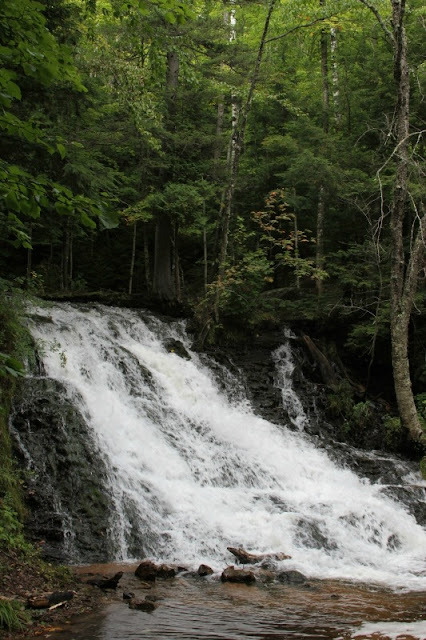 Marquette County in Michigan is home of 70 waterfalls! Just Short of Crazy explains that hikes range from easy to more difficult and that many of the waterfalls are in more remote locations. However, wandering a bit off of the beaten path has its rewards! 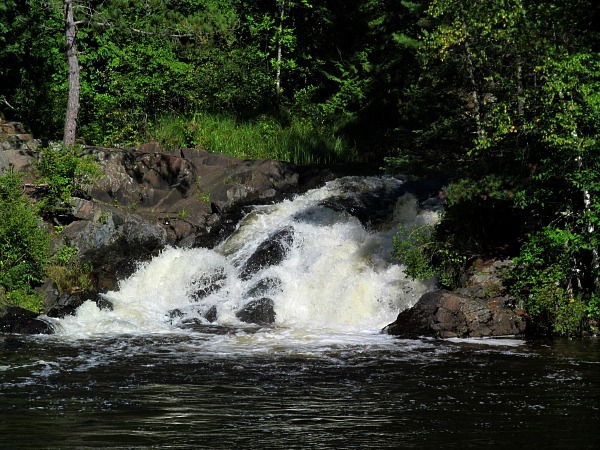 70 waterfalls can be found in Marquette County, Michigan! Image courtesy of Just Short of Crazy. Just Short of Crazy also takes us to Upper Michigan in search of more waterfalls! During a Labor Day weekend visit, the family enjoyed hiking to the falls. The falls they discovered -- Memorial Falls and Tannery Falls -- were particularly fun because you could walk behind them. Memorial Falls is fun to walk behind! Image courtesy of Just Short of Crazy. Devil's Kettle Falls marks where part of the Brule River plunges 50 feet into a pool and the other half enters a kettle. 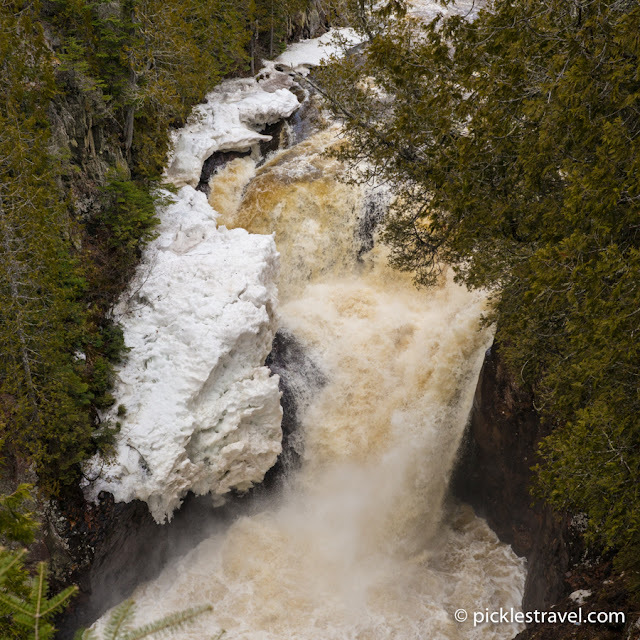 Pickles Travel gives us a peek at Devil's Kettle Falls in Judge C. Magney State Park. Devil's Kettle Falls plunging 50 feet. Image courtesy of Pickles Travel. Field Trip Iowa takes us to Gooseberry Falls State Park about an hour north of Duluth, Minnesota. Gooseberry affords an opportunity to get near the falls which is always an incredible experience! Gooseberry Falls in Minnesota. Image courtesy of Field Trip Iowa. Day Tripper takes us to 6 different waterfalls near Minneapolis including Hidden Falls in St. Paul. 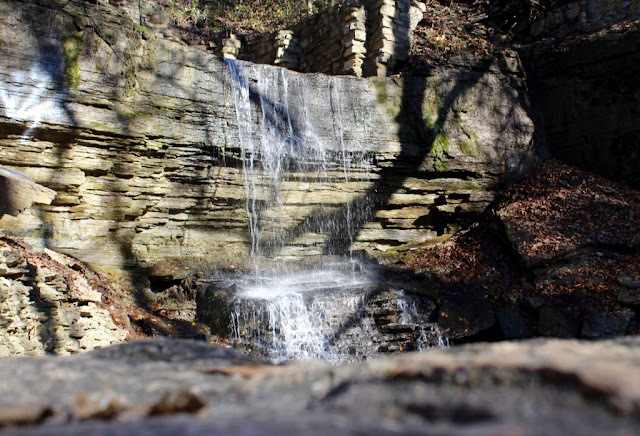 A bit secluded, Hidden Falls is a nice spot to enjoy a view from the overlook, picnic and enjoy other outdoor activities. Hidden Falls in St. Paul. Image courtesy of Day Tripper. Near Manakato, MN, Thrify Jinxy discovered Minneopa Falls where you can hike to the base of the falls. Also nearby is Seppmann Mill which is a German-style, wind driven grist mill. 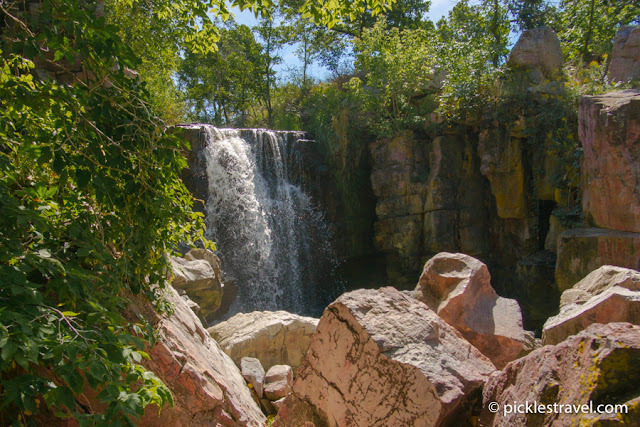 Winnewissa Falls is located within the Pipestone National Monument. Pickles Travel shares with us these stunning falls and surrounding rock formation that has an interesting reddish tint due to the presence of iron. Winnewissa Falls and surrounding reddish tint formations. Image courtesy of Pickles Travel. Oh My Omaha takes us canoeing down the Niobrara River in Nebraska. One stop on the river provides a stunning view of Smith Falls. While visitors can drive to an area close to the falls, canoeing to the falls is a bit more fun! Smith Falls in Nebraska. Image courtesy of Oh My Omaha. 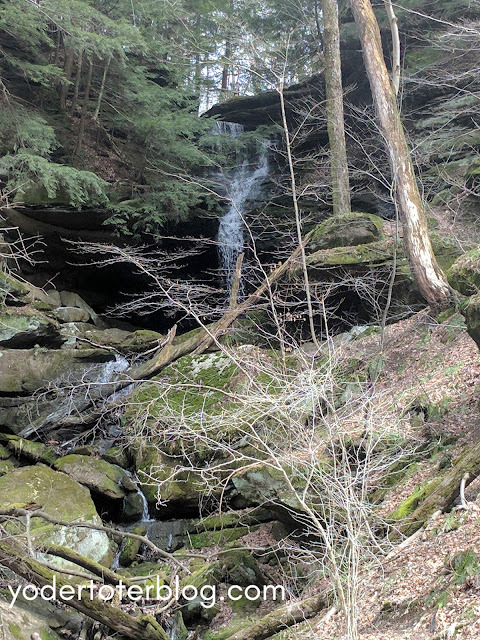 Picturesque Cuyahoga Valley National Park is home to several waterfalls in Eastern Ohio. On one of our trips East to New Jersey we stopped at a couple of falls for a little nature respite. 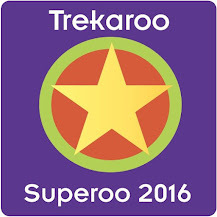 They are certainly striking and worth exploration. Hemlock Falls near Mohican State Park in Ohio is a true hidden treasure. 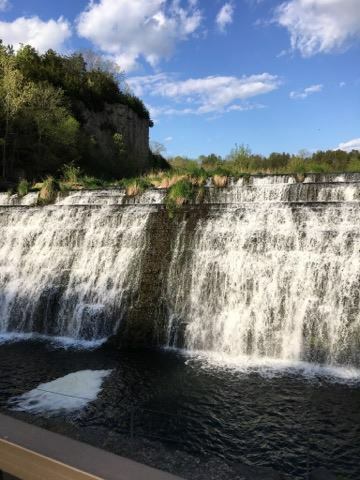 Yoder Toter Blog takes us there and explains that currently the falls are on private property, so you will need to call in advance to visit. This may change in the future because the falls will be incorporated into a new hiking trail. But for now, plan a little ahead to see this treasure! Hemlock Falls in Ohio. Image courtesy of Yoder Toter Blog. Hocking Hills features striking rock formations and waterfalls. 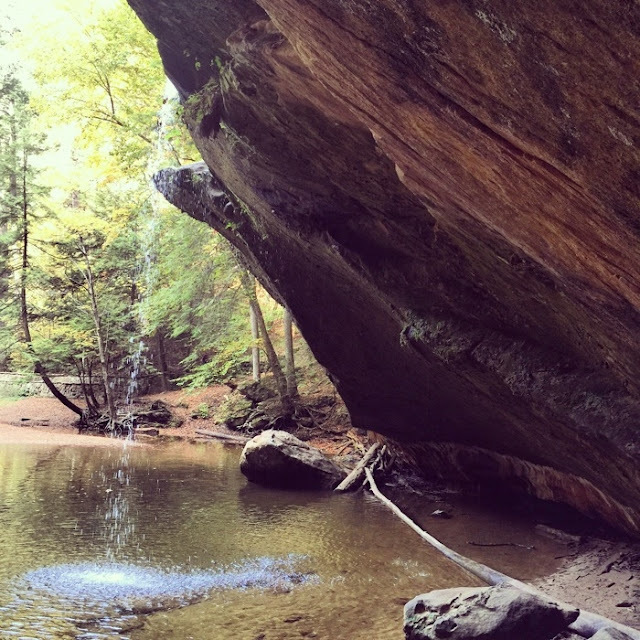 Adventure Mom shows us how you can enjoy the natural treasures of Hocking Hills in under 48 hours incorporating not only hiking but kayaking and ziplining as well. Old Man's Cave in Hocking Hills. Image courtesy of Adventure Mom. 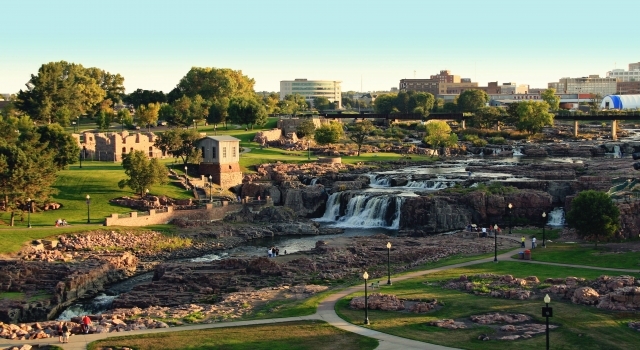 Just Short of Crazy takes us to Sioux Falls, SD where a visit to Falls Park where you can enjoy the falls and even trek up a tower to get a bird's eye view. 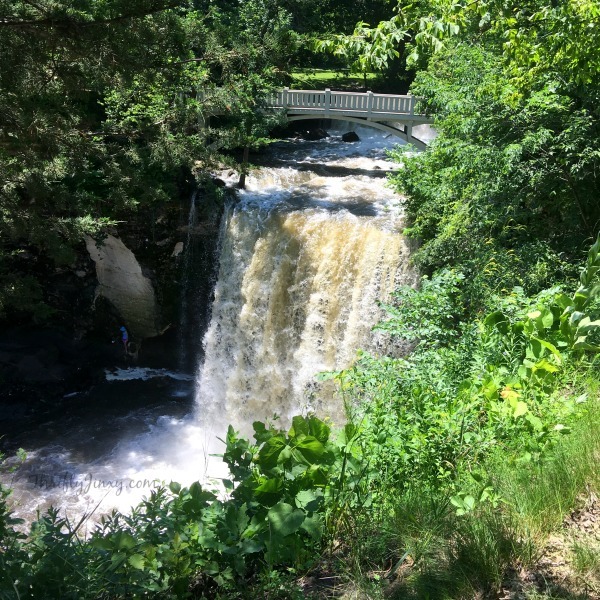 Traveling Ted takes us to Marinette County -- the Waterfall Capital of Wisconsin. Home to 14 waterfalls, Traveling Ted found Marinette County the perfect place to Waterfall Hop and bask in the splendor of the falls! 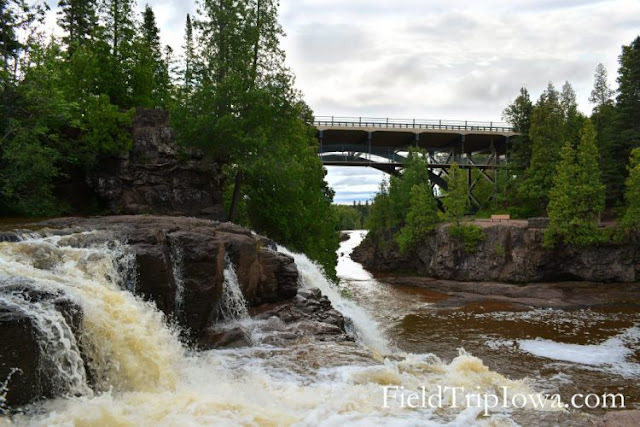 12 Foot Falls in Marinette County, WI image courtesy of Traveling Ted. Waterfalls are always an incredible discovery during travels! They always cause us to pause and just soak up the moment. I hope that you can explore one of these treasures during your next adventure!